Synopsis: An alphabetical humour and human interest book. 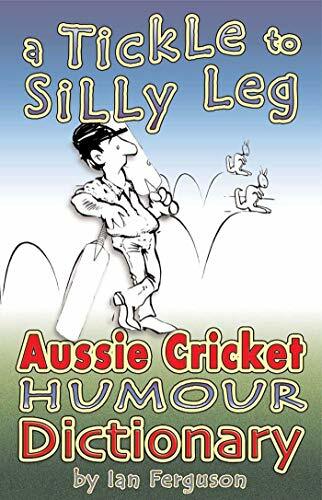 Cricket terms from A to Z are given a new, zany twist, and funny anecdotes about Australian cricket are included. "The Ashes: Burned remains of dubious origin that will remain in an urn forever at Lords in London. The Poms refuse to part with it no matter how many Test series Australia wins. "Bradman: See God..."Six: An exciting result for a batsman, which gives spectators the opportunity to demonstrate their fielding talents. "Silly Leg: David Boon was prominent in that fielding position, and not only because of the shape of his legs." About the Author&colon; Ian Ferguson is the author, co-author and contributor to four commercially published cricket books. Since 1984 he has also contributed many articles to national sports magazines.